Provide a name for the Information point, specify the class name (fully qualified) and the method name and click Add. Note that you can even create custom metrics based on the method arguments or return values. Once the information point is configured, performance metrics will be captured on the method instrumented. 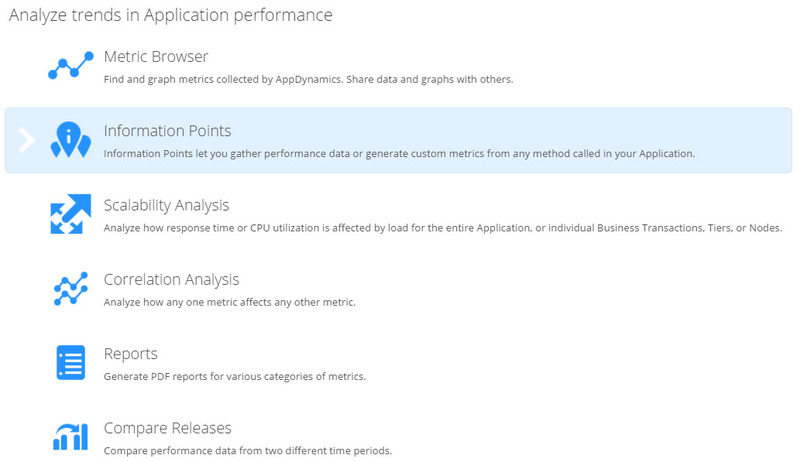 Important Note: AppDynamics will start capturing performance metrics ONLY after the method is called. So, you may have to be patient until the method shows up (depending on how frequently the method is accessed). By default, the following metrics will be captured for each Information Point. Enjoy your newly found Data !! Thanks for your data . Can you share any way we can automate the java agent installation process…. 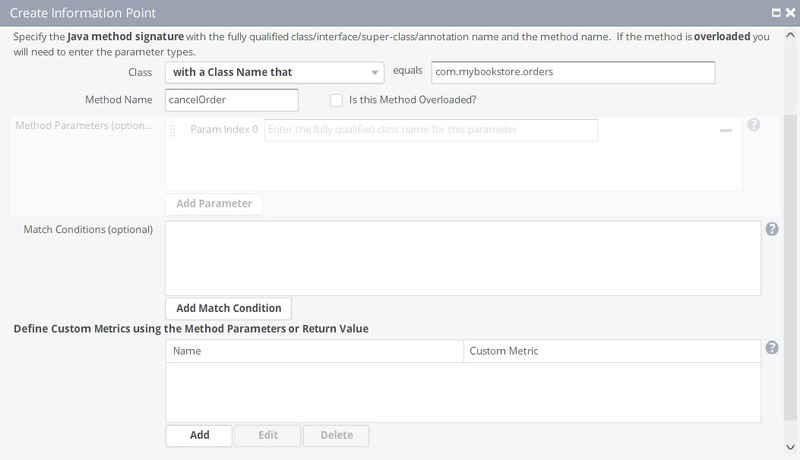 Previous post: How to use AppDynamics to capture java method arguments and return values?